Tim Karcher doesn’t remember much from the summer of 2009. The U.S. Army veteran spent six weeks lying in a hospital bed at Walter Reed National Military Medical Center in Washington, D.C., followed by seven more weeks at Brooke Army Medical Center near his home in Harker Heights, Texas. During those first few tumultuous weeks, he was in and out of surgeries, attached to an IV pumping him full of medication that kept his body stable, but his mind fuzzy. It was a miracle he made it to the hospital in the first place. 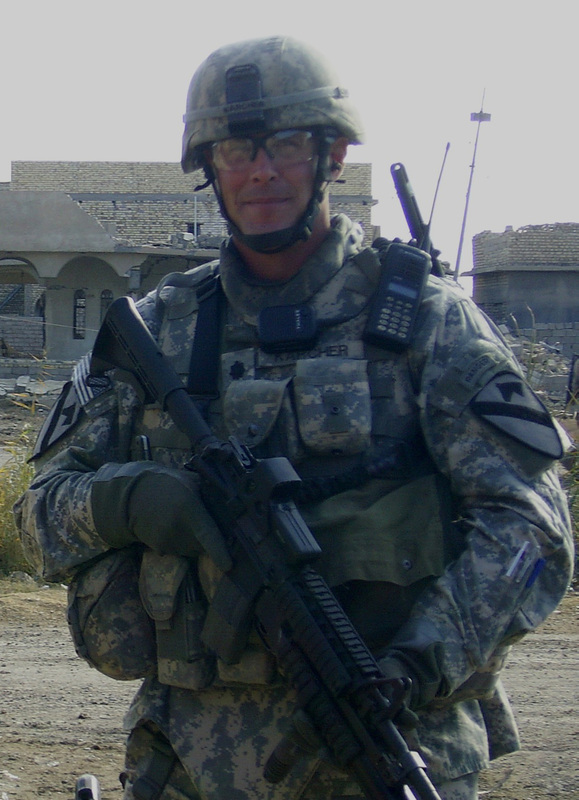 Tim had been in Iraq, where on his third combat deployment, his vehicle was struck by an explosive device. He lost both of his legs above the knees. Tim’s wife Alesia, on the other hand, remembers that summer very well. She remembers she was at home getting her three daughters—Anna (14), Audrey (12), and Abbey (7) — ready for Sunday School when she heard a knock on the door. She remembers spending the next week arranging for family to come stay with the girls so she could go be with her husband at the hospital once — if — he made it back to the States. She also remembers a nice young man by the name of Cody Fortune. 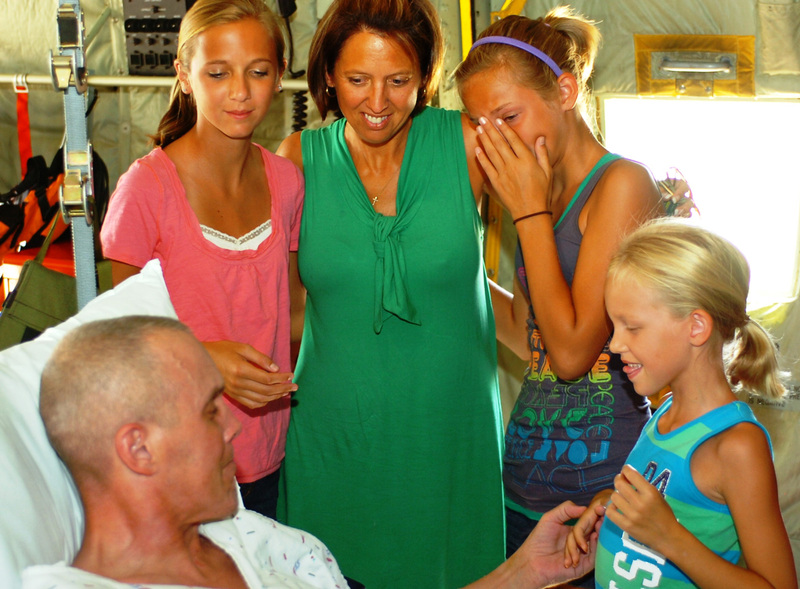 That August, after Tim’s prognosis had improved, she had flown home to take her youngest daughter to camp. Every day, Abbey came home talking about her camp counselor Cody. Alesia was so grateful for Cody’s kindness, she wrote the camp a letter. 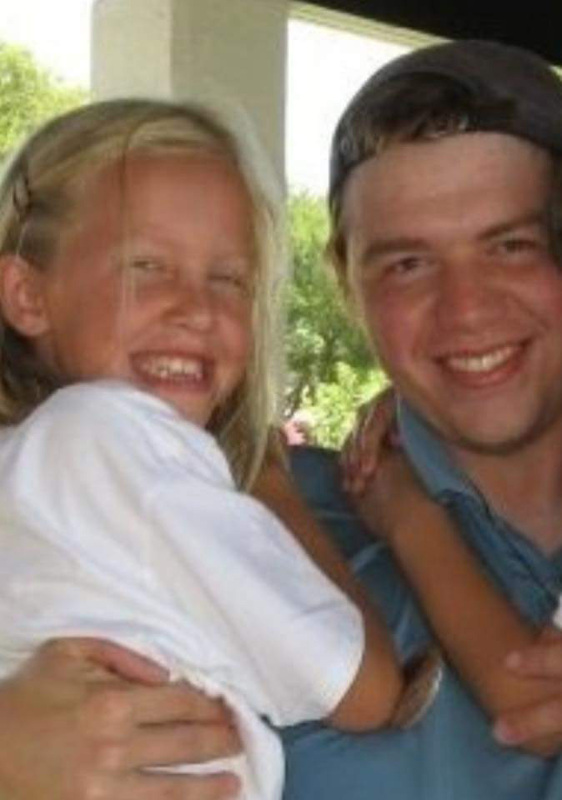 In that letter, she revealed what Abbey had been facing at home with her dad’s injuries — and how this week at camp with Cody had been her saving grace. At the end of the summer, Tim was released from the hospital, but he was a long way from healed. After two years of rehabilitation, he was finally given the green light to enter the service again — this time in an office job. The next step, to Tim, was clear. He’d spent 26 years in the Army. 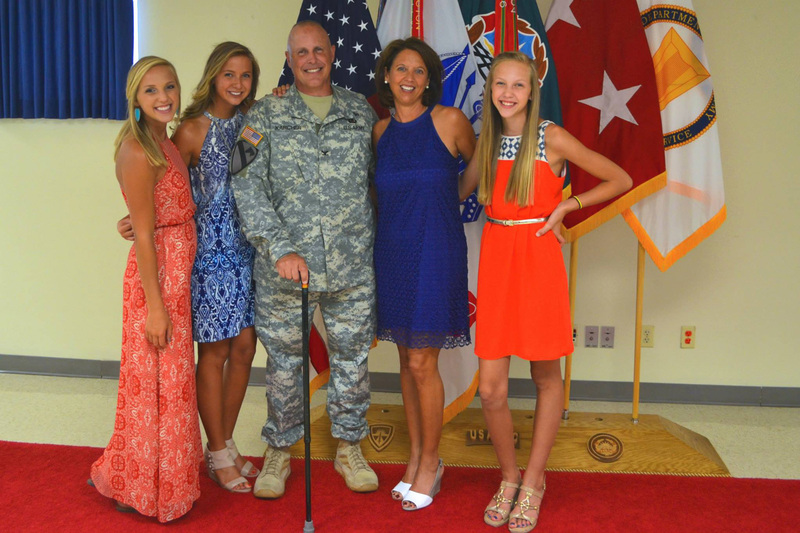 Now, he wanted to spend his retirement serving veterans and their families. No Greater Sacrifice, a non-profit dedicated to the children of our nation’s fallen and wounded service members, was the perfect fit. The organization, one of this year’s True Inspiration Award winners, delivers scholarships and resources to improve children’s quality of life through the pursuit of higher education. Plus, Tim knew first-hand the difference the organization could make. In 2009, when he was still lying in that hospital bed in D.C., No Greater Sacrifice visited him to offer all three of his girls a college scholarship. Today, eight years later, Tim is the Director of Outreach Development and Strategic Planning for the organization — and he spends every day helping families just like his own. Earlier this summer, Tim traveled to Atlanta to represent No Greater Sacrifice at the Chick-fil-A Foundation’s True Inspiration Awards dinner. While visiting Chick-fil-A’s corporate headquarters that week, he heard a male voice behind him ask, “Are you Abbey Karcher’s dad?” He spun around, ready to see whoever it was that somehow knew his now 14-year-old daughter who lived 1,000 miles away in Texas. Amazingly, Tim found himself face-to-face with Abbey’s former camp counselor Cody, who was now a staff member at Chick-fil-A. For Tim, he had always heard about his daughter’s counselor and how instrumental he was in giving Abbey a week where she could forget her troubles, but he never thought he’d have the opportunity to thank him in person. After their embrace, Cody pulled out his phone to show Tim a photo. It was from that week at camp back in 2009. Now, there’s a new picture for Cody to share — one of him standing next to Abbey’s dad in the lobby of the Chick-fil-A headquarters. A special moment 8 years in the making, and one neither man will ever forget. Each year, the Chick-fil-A Foundation recognizes incredible community organizations through the True Inspiration Awards. Learn about all of our 2017 winners by visiting chick-fil-afoundation.org/true-inspiration-awards, and help us select our next winners starting in September when voting opens on the Chick-fil-A One app!